For crust: reheat oven to 350°F. Blend all ingredients in bowl. Press mixture over bottom of 9-inch-diameter springform pan with 23/4-inch sides. Bake until golden, about 12 minutes. Transfer to rack; cool. Wrap outside of pan with 2 layers of foil. Reduce oven temperature to 325°F. For filling: Using electric mixer, beat cream cheese in large bowl until fluffy. Gradually beat in sugar. Scrape in seeds from vanilla bean and blend 1 minute. Beat in eggs 1 at a time. Mix in crème fraîche. Transfer filling to crust. Place cheesecake in roasting pan. Add enough hot water to roasting pan to come 1 inch up sides of springform pan. 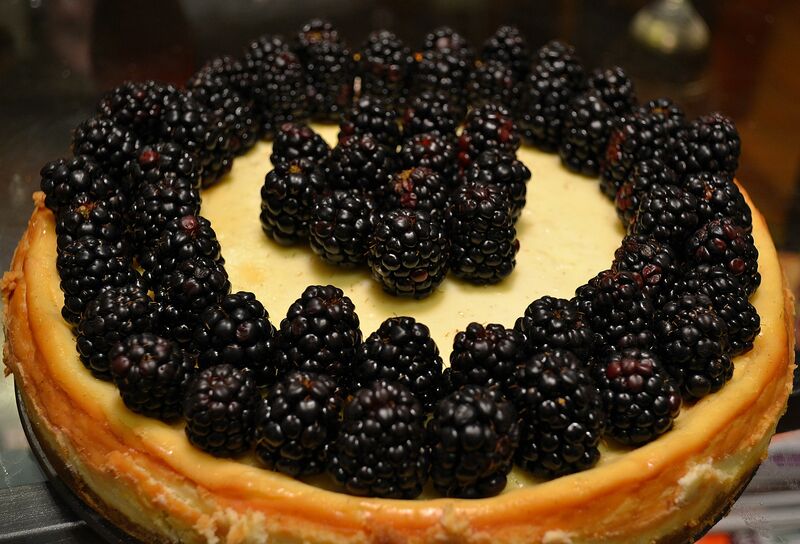 Read more about this cheesecake and my musical pairing by clicking HERE.